I often consider myself fortunate to have been a toddler in a pre-technology age. Yes, there was radio and television but they figured only minimally in terms of educating me or keeping me mindlessly entertained. I also seem to recall that my favorite toys were sans batteries and that I could be mesmerized for hours with “talking” sock puppets, blowing bubbles, making hand-shadows on the walls, collecting fallen flower petals, and turning the pages of a colorful book as the nearest available parental read out loud to me. As a result of these experiences – all of which were “free” – I knew how to read, write, talk up a storm, color pictures and do simple math before I ever started school. 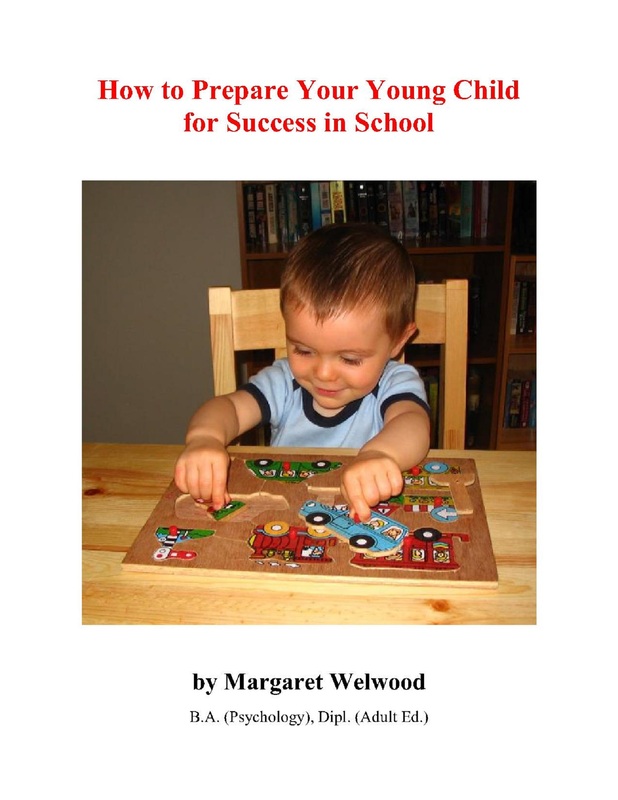 Margaret Welwood’s book (available through SmashWords) may be small in terms of page count but it packs a pleasant punch of happy memories and serves as a reminder to today’s parents, grandparents and guardians that the very best thing they can spend on the little ones in their lives is Time. It’s a message that can’t be repeated often enough, especially the concept of carrying on conversations with toddlers even though logic might otherwise tell you that they haven’t a clue about, oh say, what the national deficit, global warming, or supply side economics even means. Q: Let’s start with your background as an educator and ESL instructor. During the 25+ years you worked with immigrant families, were there any differences you observed between the passion they exhibited to give their children the best learning opportunities versus the mindset and expectations of non-immigrant parents? A: An interesting question. I would say that in my experience most parents want the best for their children and will sacrifice to provide for them. However, some of the refugees I worked with had suffered so terribly in their home countries that I believe they had a heightened appreciation of what it means to be Canadian. They were truly grateful for the opportunities their children would have here. Q: What attracted you to the topic of early learning? A: I’d worked with children off and on for years. When I wanted to promote our college’s English as a Second Language program for adults, a freebie on the website on how parents could help their children learn seemed like a good idea. Q: What are some of the most significant changes you’ve seen in this field? A: My early work with children consisted of teaching nursery school, Sunday School and English as a Second Language. In later years I worked as a teacher aide with Canadian students who had special needs. Thus I can’t really speak to how curriculum and delivery have changed, but I will note another important facet. That is the emphasis on safety and security. There were no peanut-free schools when I started out. Fire drills yes, lockdown procedures no. And no signing in and out at the day care. I was so impressed with the director of Tommy’s after school care. I used to pick him up about once a week. Once I picked him up two days in a row, and the director asked, “Is he staying with you now?” They don’t miss much! Q: What do you feel distinguishes your approach to early learning tools and techniques? A: I believe that’s what is in the book is simply common sense, based on shared experience and solid research. Q: Define the desired takeaway value of this book for your readers. A: I think that for conscientious and aware parents and caregivers much of the value may be in being able to say, “I’m doing most of these things. I’ve got it right!” But there may be a couple of surprises. I’m really intrigued by the link between learning a second language and delaying Alzheimer’s symptoms, and the possible link between excessive screen time and autism. Other parents, particularly young ones, may find a lot of new information that they can use from day one. Q: Throughout the text you’ve incorporated wonderful pictures rather than using stock photos. Why? A: None of the pictures except the cover one were taken with the book in mind. I looked through some very attractive—and free—stock photos, but they all looked so posed. They didn’t fit with my theme of using everyday experiences and no-cost or low-cost activities. Q: Tell us about your prior writing/editing experience. A: I started writing freelance newspaper and magazine articles, then edited a business magazine and a Writer’s Digest award-winning book on diabetes education. Q: How did you get into writing picture books for children? A: My grandchildren, Tommy and Tina, were the impetus. They like me to read them stories, but there’s something special about making up our own. Tina even missed her school bus one day while she and I were engrossed in our story about a bug hotel! And once Tommy called, very sad, and said, “I think what would help me is a really funny story.” I did a take on Jack and the Beanstalk using his house, and it helped to distract him from his sorrow. Q: The best writers were often voracious readers growing up and have simply carried that thirst for reading into adulthood. Would that apply to you? A: Yes. I really liked science fiction. My mother used to park me in the book section of The Bay while she did her shopping, and I worked my way down a series of SF books. Q: What and who were some of the books and authors that especially resonated with you? A: Marooned on Mars by Lester del Rey and French-Canadian fairytales. I also read non-fiction books about astronomy. The Stars Are Yours by James S. Pickering was an inspiration. I bought a telescope, and my friends and I had a space club. Q: I’m assuming you read aloud to your children when they were toddlers? A: Oh yes, and years after they were toddlers, too. Q: As crucial as this bonding experience is between a parent and child, a lot of today’s moms and dads who are dual wage earners or are single heads of households lament that they just don’t have enough time to read aloud, much less play games. What impact does this have on a child when s/he starts school? A: Some older teachers say that kids aren’t as smart as they used to be. I think part of that is the need for faster and flashier stimulation than a book affords. Yet, earlier this year as a volunteer story reader at a day care, I found that the children were, in general, very good at listening to stories. I also never saw a TV on there. Reading and playing with children is important, but I believe that a lot is also accomplished through solitary and group play with generic toys that encourage creativity. Q: Every year there seems to be a strong push to get technology into the hands of children at a younger and younger age. In your view, what are the pros and cons of this approach to early learning? A: Pro—it’s the way our world is, and children need to be ready for it. Also, some learning technology is highly interactive. I’m attempting to learn French with a free online program and a set of DVDs I’ve borrowed from the library, and I think they’re pretty effective. Con—I think some children are less able to entertain themselves or to pay attention to what’s going on around them. And they are losing the ability to interact with others through play. I see these as real losses, and I’m always encouraged when parents limit screen time. Q: Writing is a solitary pursuit. Do you allow anyone to read your work while it’s in progress or do you make everyone wait until it’s completely done? A: Allow?? I insist! I love getting feedback. Q: You’re giving your book away for free and yet this still requires marketing efforts on your part to let parents, grandparents and guardians know that it’s available. What steps are you taking to accomplish this? A: I’ve posted a link on my website. There are several links to the book on my g+ page because I’ve posted it on several communities. I offer it to people I meet who show interest in the topic—and I ask people like you and The Edimath for reviews! A: The artist is coloring the pictures for Scissortown and then the marketing will begin in earnest, hopefully this month. (I have a reading at the Christian school booked for Jan. 27.) I’m also doing a course on Google AdWords. A: The e-book, Scissortown, and other books to follow are expressions of my love for my grandchildren and our enthusiasm for stories. A: Please visit Writing Books for Children to learn about my writing journey, Grandma’s Treasures to learn about Tommy and Tina, the inspiration for my stories, and Grandma’s Bookshelf for a video about Scissortown, a link to my free e-book, and reviews of books I like.